Ava’s great aunt wanted to be more beautiful, so she turned herself into a canary and her grandmother can smell the difference between good and bad love. For a family that was never really accepted in the first place, the scales are tipped when Ava is born with a complete set of wings. Don’t be deceived by the lyrical nature of this tale: it has bite. The occasional reference to violence in early chapters hovers like a warning as the tangle of lost loves and forgotten hopes spreads over the Lavender household. I was mesmerised by the strangeness of Ava and her family’s story from beginning to end. Could any good ever come out of their lives? Was there any chance that one of them might find true love and happiness, despite it all? I felt both bruised and healed when I reached the end. 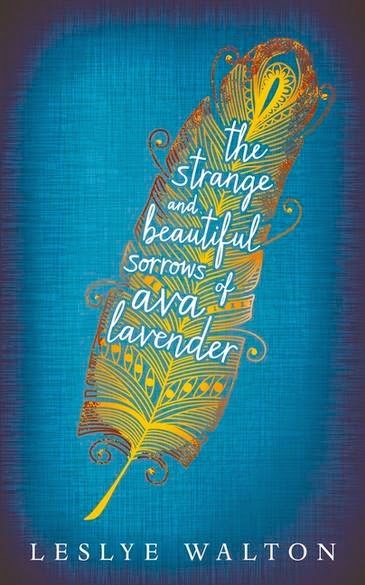 It is true: Ava Lavender’s life is both beautiful and tragically sad, as are the lives of those around her. Compelling, sensual, strange and beautiful.